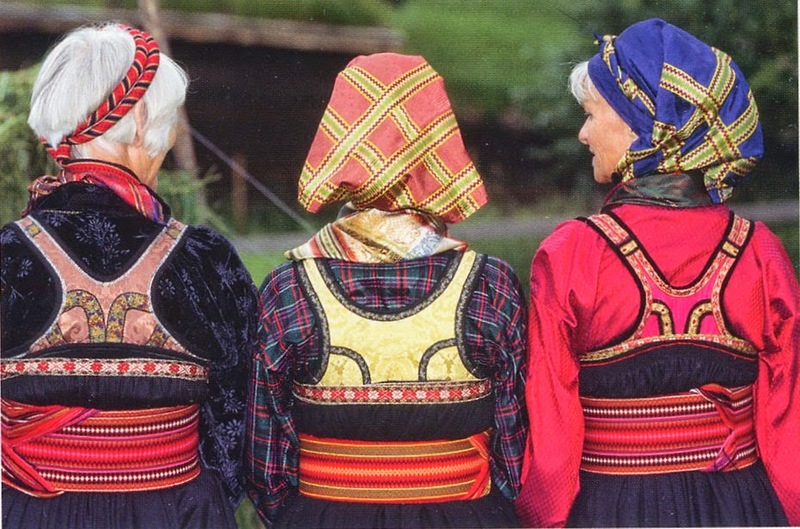 today I am returning to Telemark, one of the richest provinces in terms of folk art and costume in Norway. 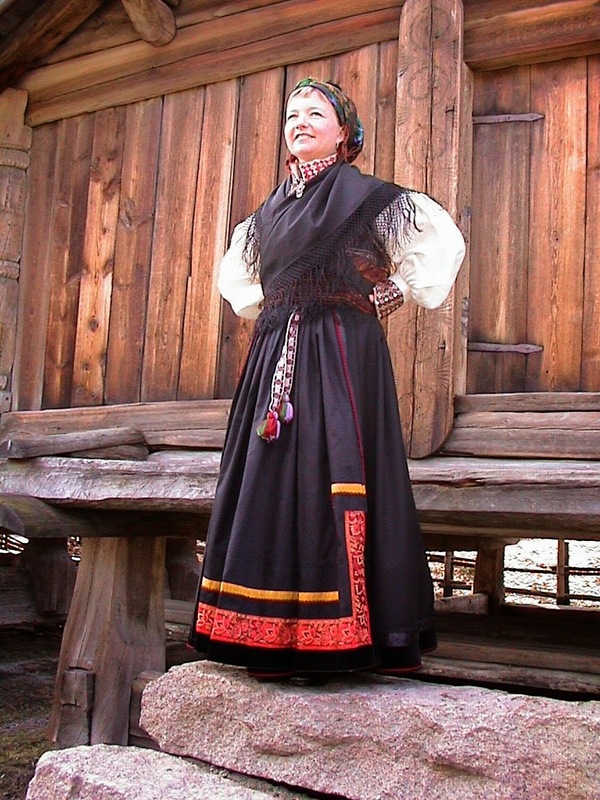 Telemark has three costume areas, West Telemark, East Telemark and Tinn. 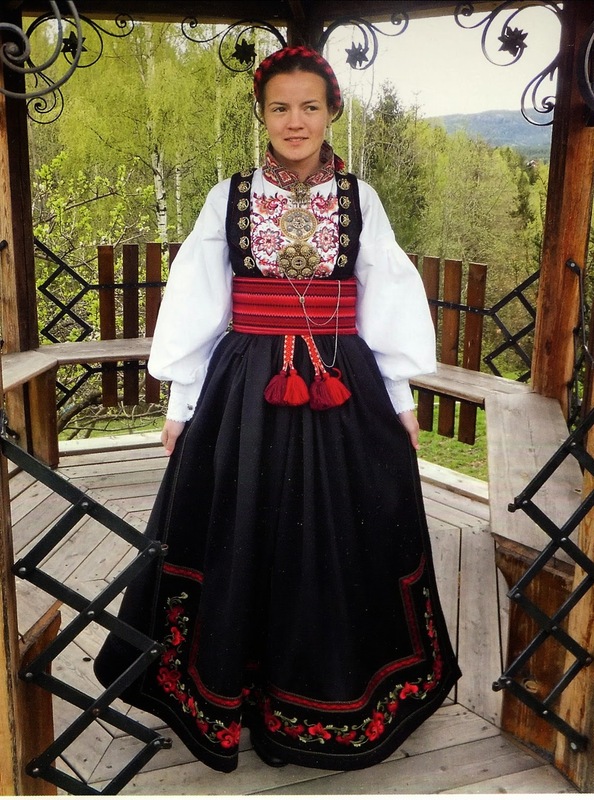 I have already covered one version of the costume of West Telemark. Today I will do the same for East Telemark. East Telemark consists of the east half of the province, minus Tinn. 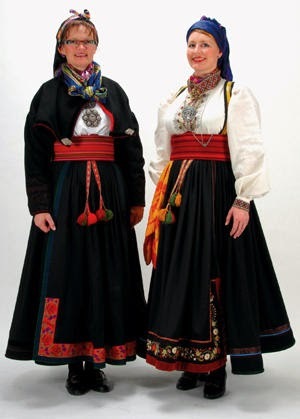 There are three versions of the East Telemark costume for both men and women. These are not associated with different regions, but rather with different historical periods. The costumes became progressively simpler with time. 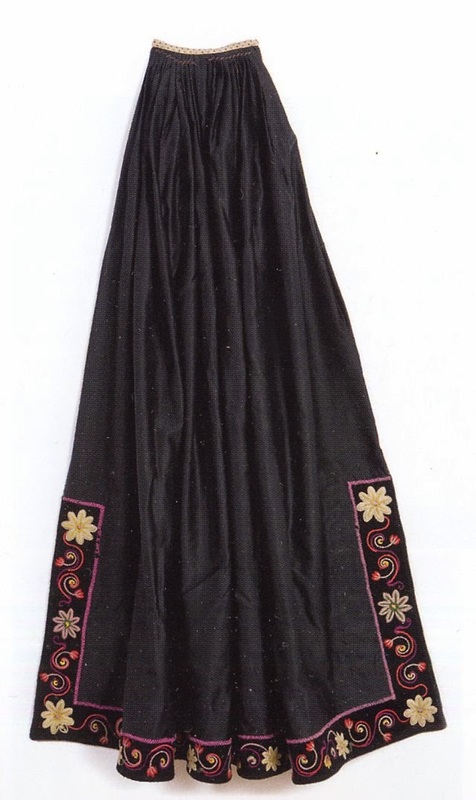 The costume of the first half of the 19th cent. 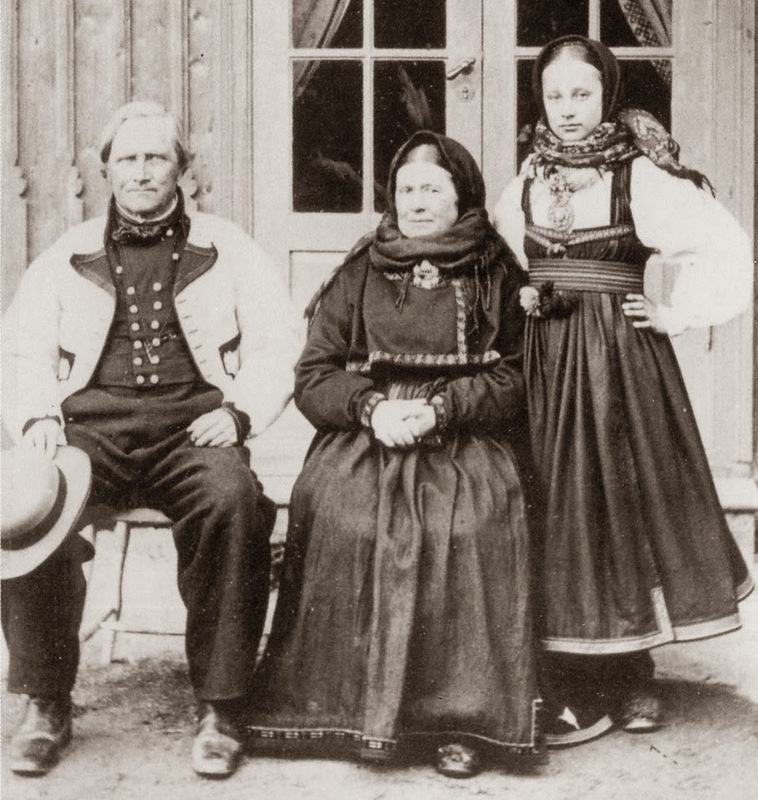 is known as Raudtrøje for women, and Snippekufte for men. Here is a historical drawing of these. Very attractive, and I will write about them in the future. 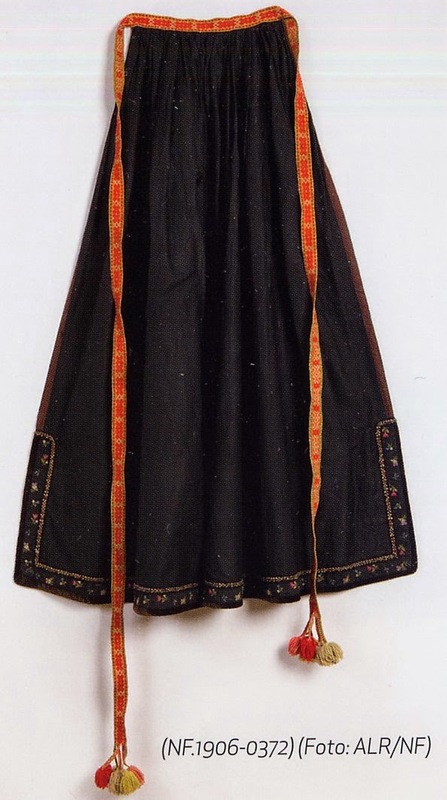 The costume of the second half of the 19th cent. 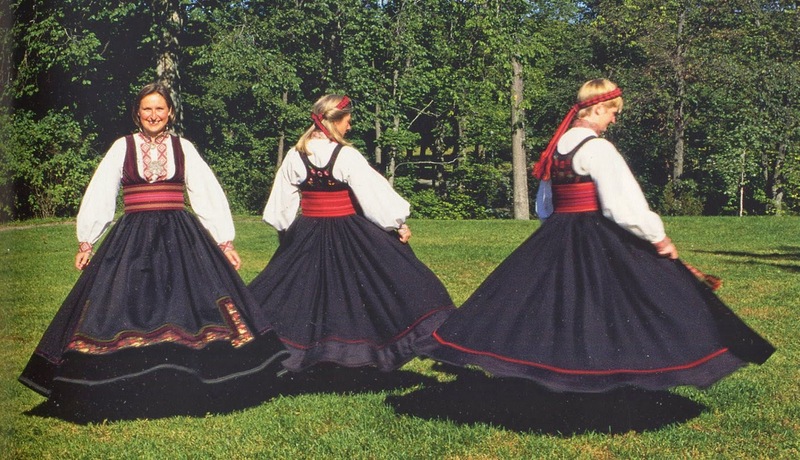 is known as Beltestakk for women, and Gråtrøje for men. This is the costume which I will focus on today. 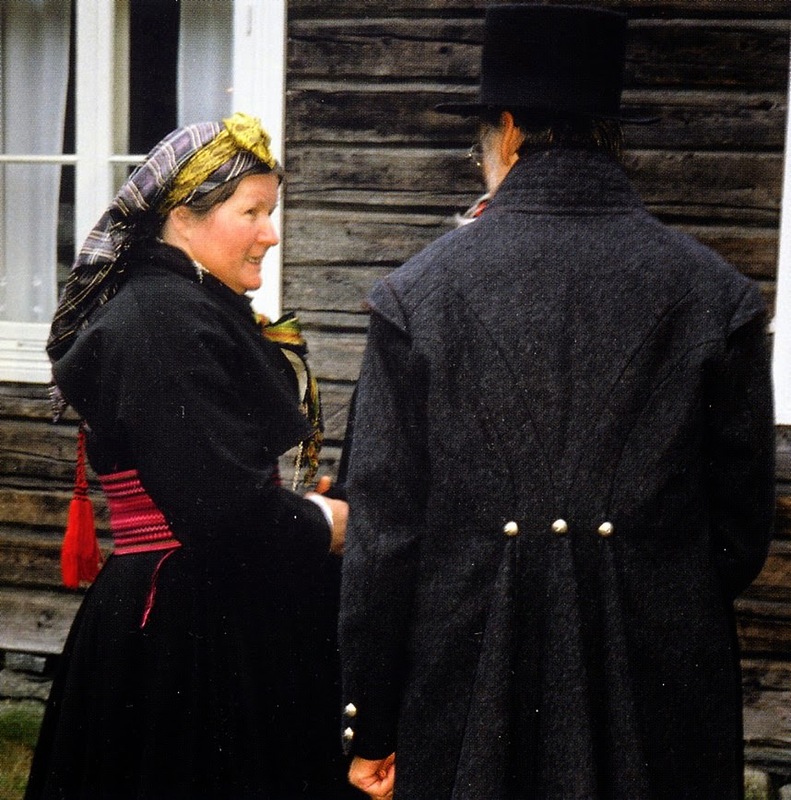 The costume of the first part of the 20th cent. 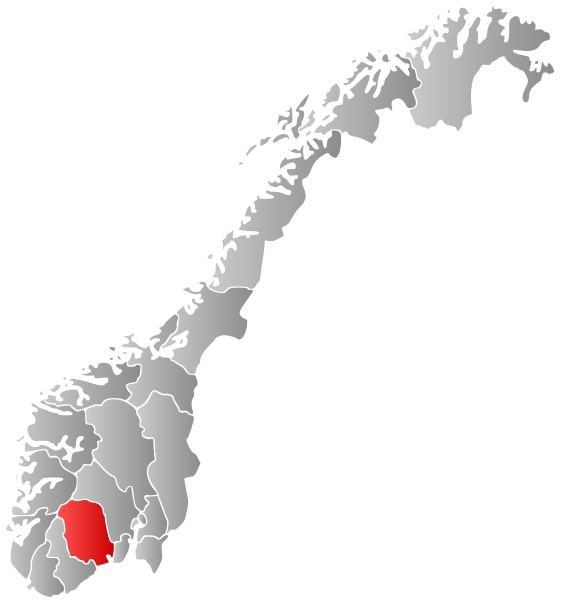 is known as Stakk og Liv for women and Rundtrøje for men. 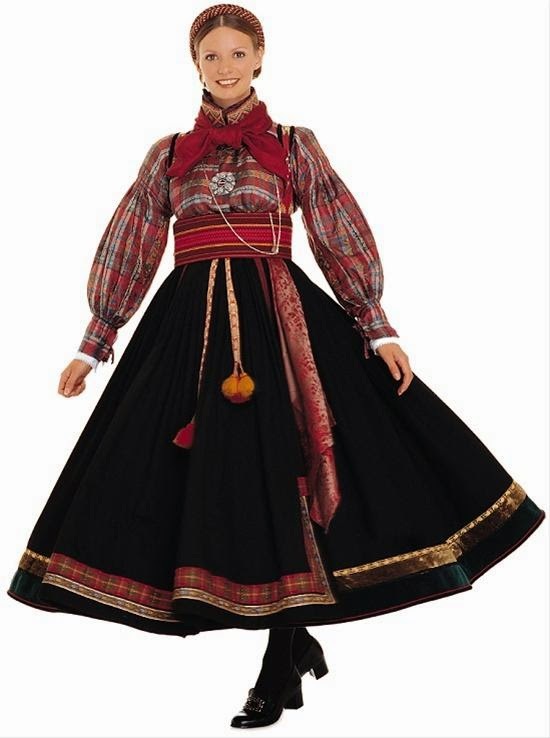 This last costume was worn daily in some places up to 1970. 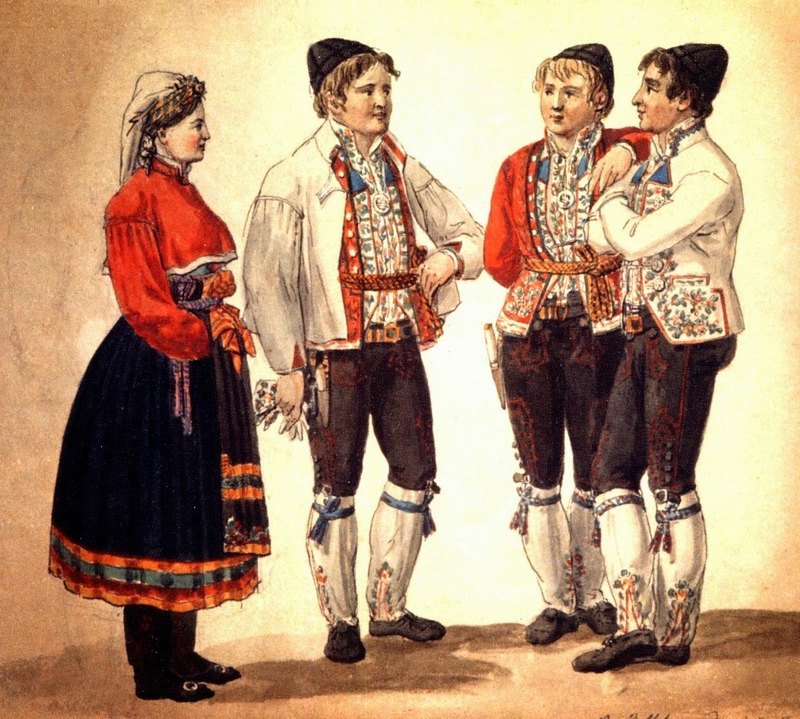 Starting in the 19teens the older forms of the costume began to be revived, as the entire nation began to focus on folk art as part of their identity, and began to appreciate the beauty of the older forms of the bunads. It is very fortunate that there exists a rich storehouse of material to draw upon. 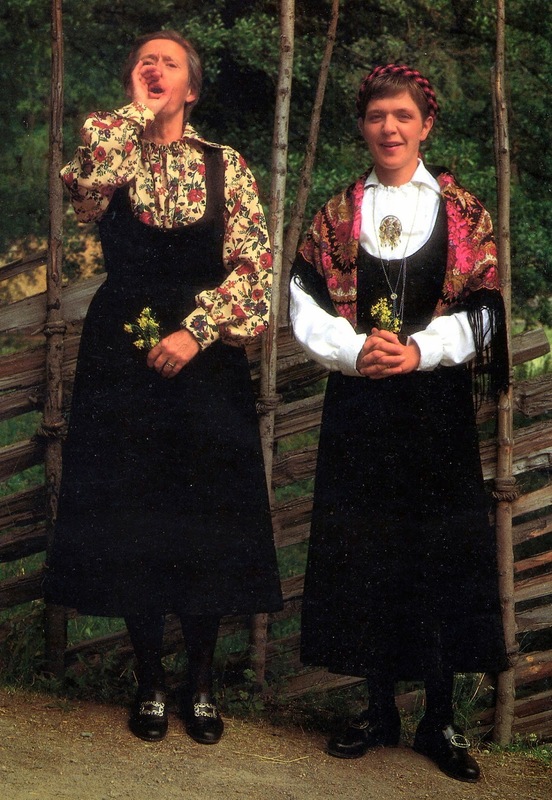 Beltestakk and Gråtrøje are possibly the most popular versions of the bunads worn today. While not as elaborate as the older forms, they are still impressive, and are cheaper because of the relative lack of embroidery. These two costumes should be paired. 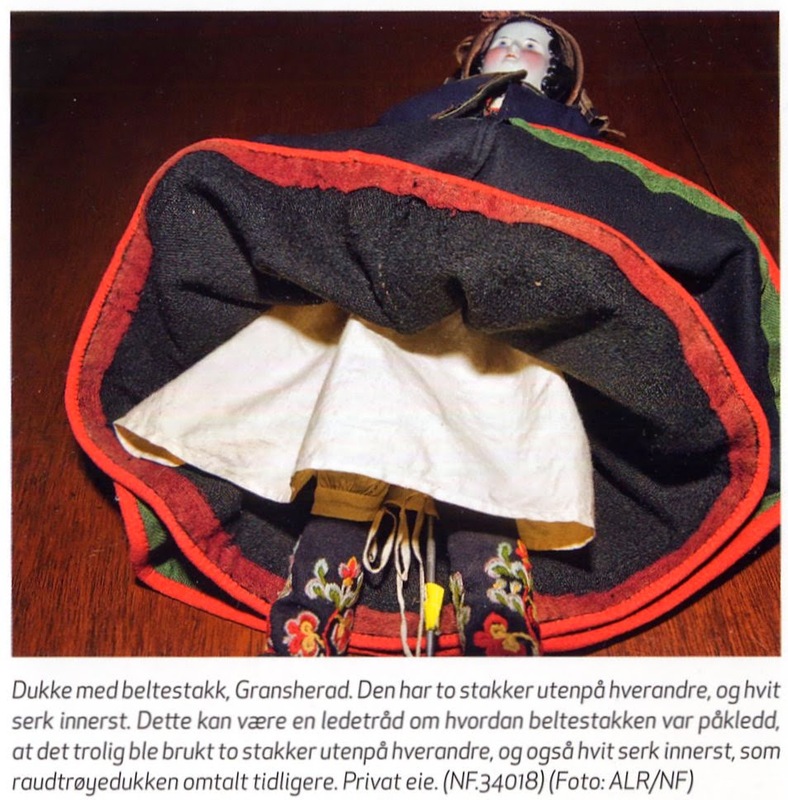 One does see the Raudtrøje paired with the Gråtrøje, and this is not technically wrong, as the men switched costumes about a decade earlier than the women, but the Raudtrøje really should be paired with the Snippekufte, which has recently become more available. As is usually the case, the foundation garment is a linen chemise, serk, in this case, sleeveless. Here is an example from an old doll. Over this is worn a shirt, skjorte. This is short, since it is worn over a chemise, and has a high standing collar. The cuffs and collar usually have buttonholes on either side and are fastened by collar pins and cufflinks. Later shirts sometimes had a cloth tie for the cuffs. Here are a couple of cuts for the skjorte. 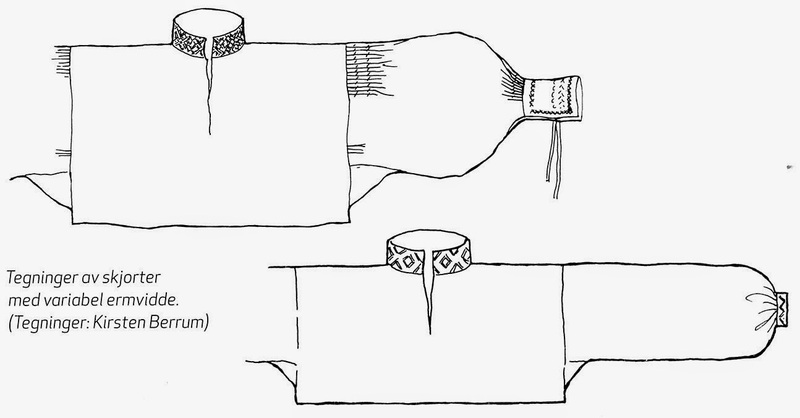 The collar is embroidered, and usually the cuffs as well. 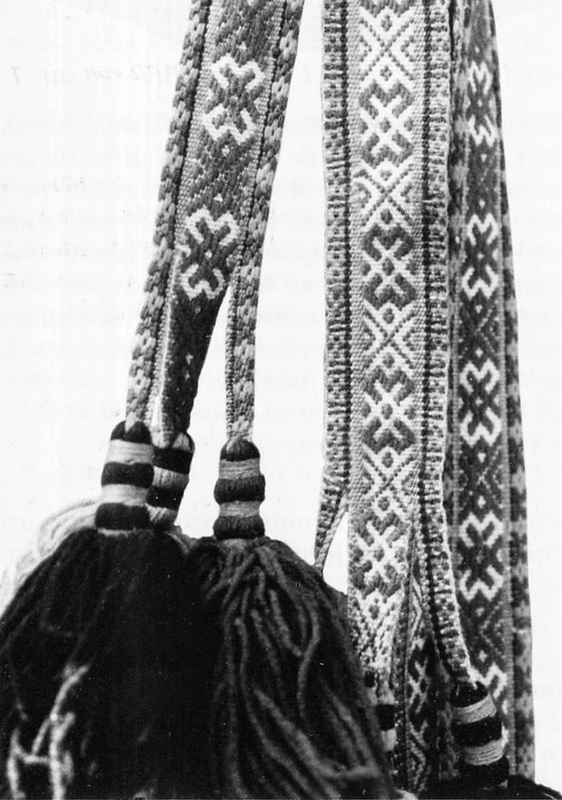 In earlier examples, as with the Raudtrøje, the front was also embroidered. The shirt is the same in both costumes, except there was more embroidery on the earlier ones. 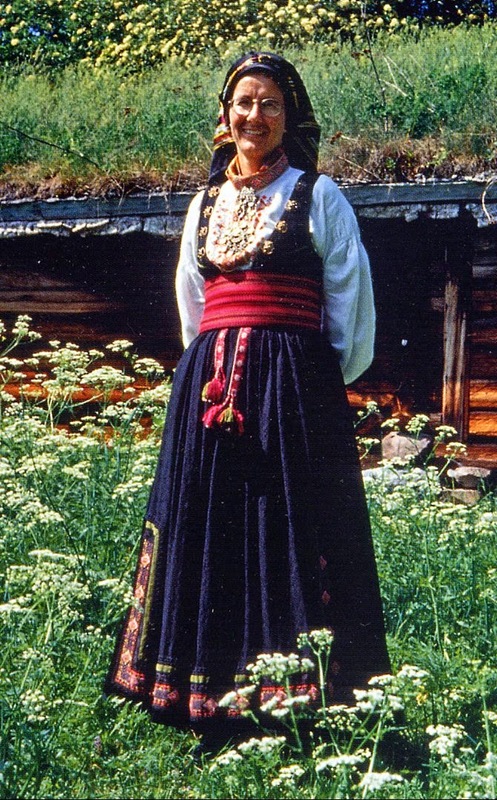 Heavily embroidered shirts are now often worn with this costume as well, although they are really a feature of the Raudtrøje. There is an incredible variety in the embroidery, and I will have to devote a separate post to them. Here are just a couple of examples. 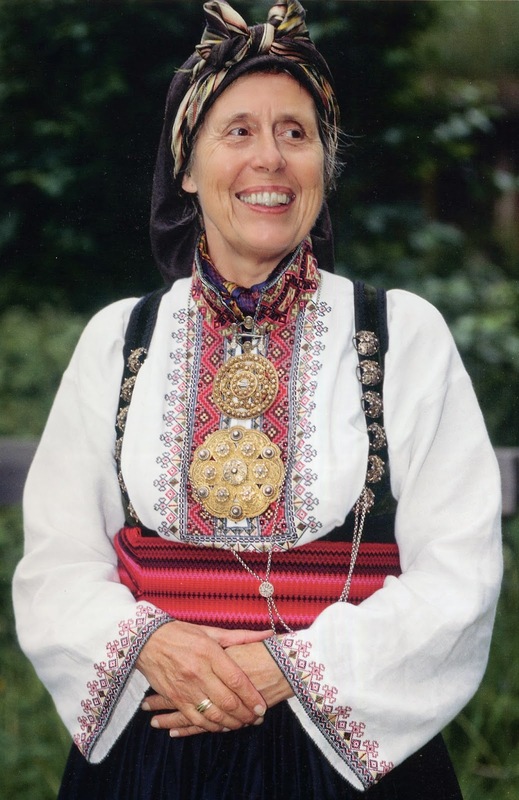 Today, often the skjorte is made of plain linen, and the embroidered collar is a separate piece. These are called krave. 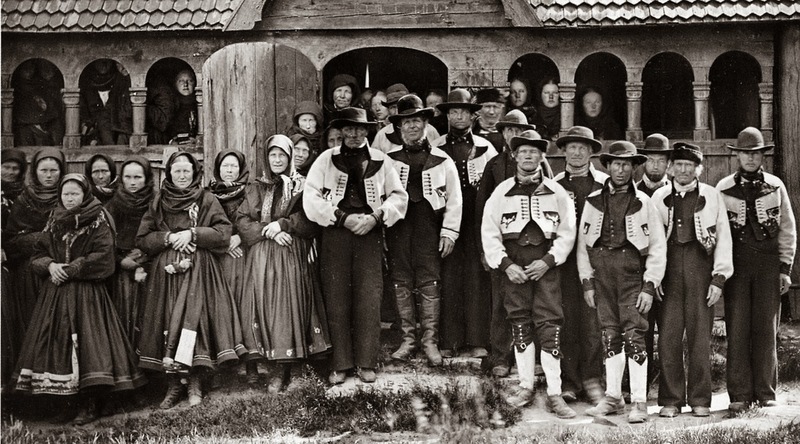 In the latter part of this period, and even today, the skjorte is sometimes replaced by the untertrøje, which literally means 'underjacket'. 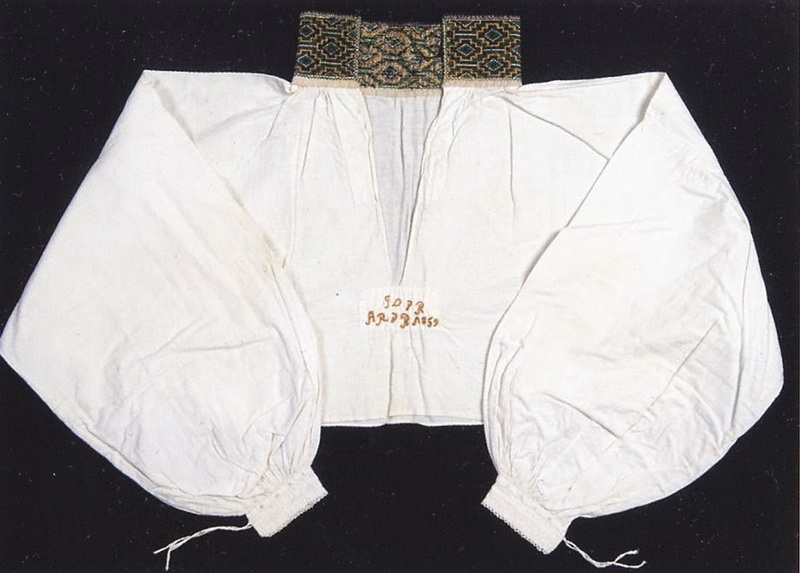 This is essentially the same garment, but instead of linen or cotton is made of commercial printed cloth. 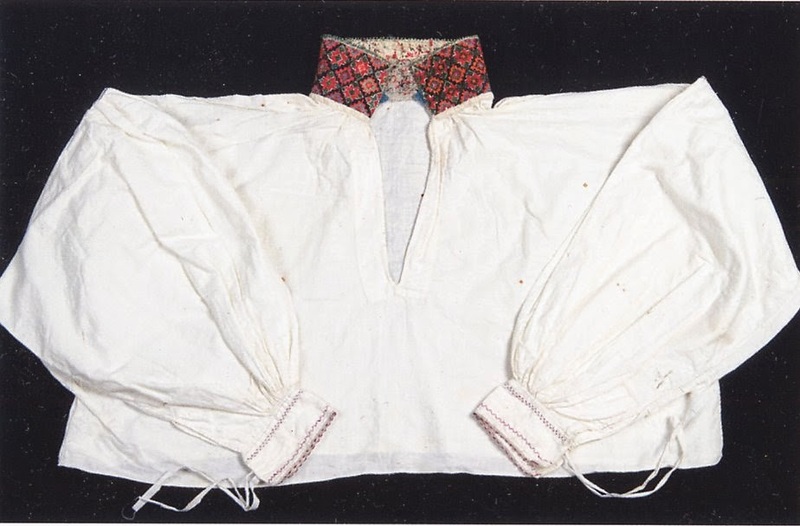 It has no embroidery, but sometimes has a jabot attached to the front. This may be calico, gingham or other material, sometimes even velvet. 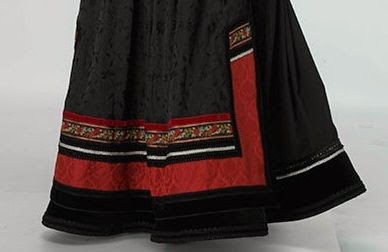 As originally worn, there is an underskirt. 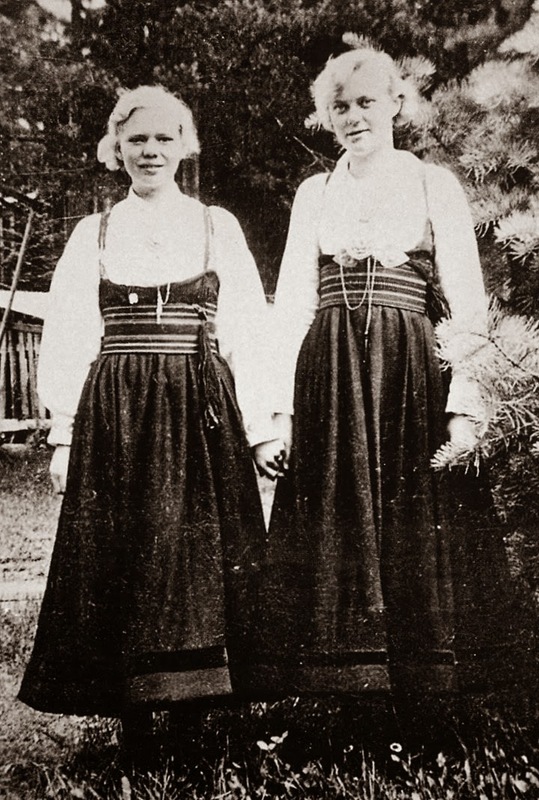 This is clear if you look at the old photos, the volume of the skirts cannot be achieved without at least one. Here is a closeup of an old doll, which clearly shows the wool underskirt, the chemise, and also bloomers. 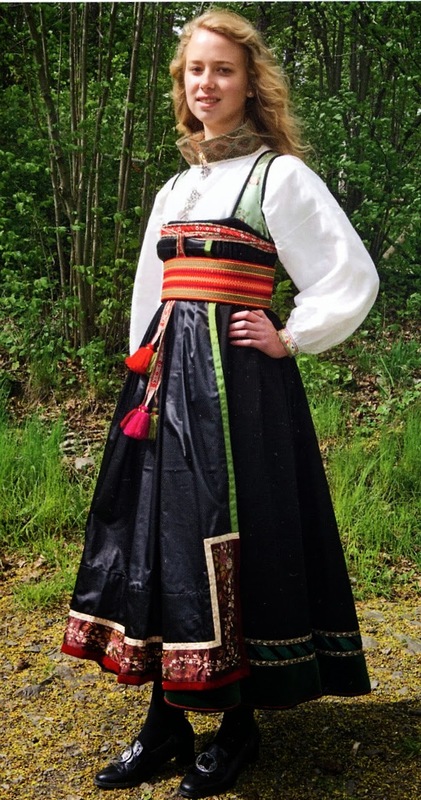 Aagot Noss says that the underskirt, understakk, is also called the gray skirt. It is made like the regular skirt but not as full, of either vadmal [homespun wool] or a linsey-woolsey. It is unclear to me whether it was fastened at the waist or hung over the shoulders like the regular skirt. I have found no good images of it. 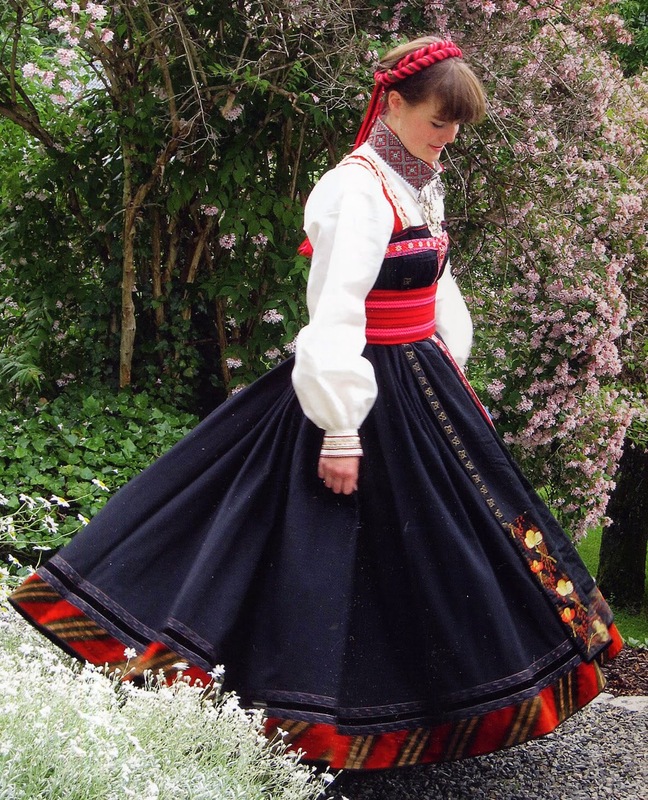 The topskirt is very full, and usually of black vadmal, or sometimes in red for brides. It is gathered into a very short bodice called the overliv, this being the height of the Empire period. 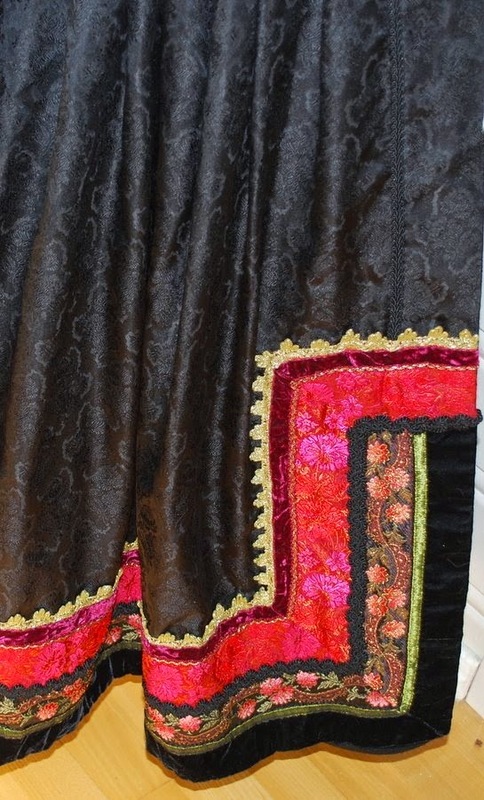 The overliv was often made of damask, brocade, or other fancy fabric in many colors, and trimmed with ribbons. Some were cut straight across, like this one. 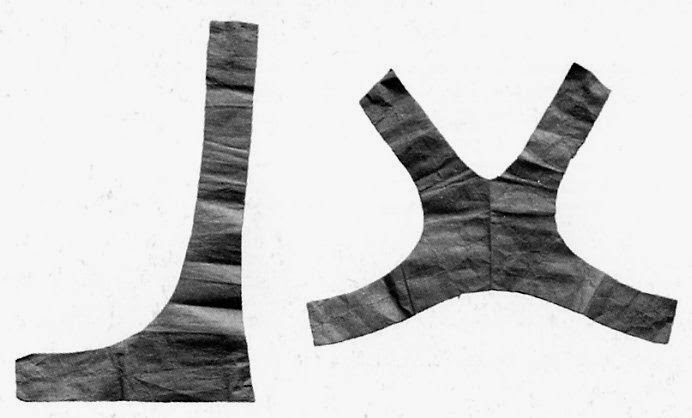 Others were cut on a curve, so that the sides were lower under the arms. 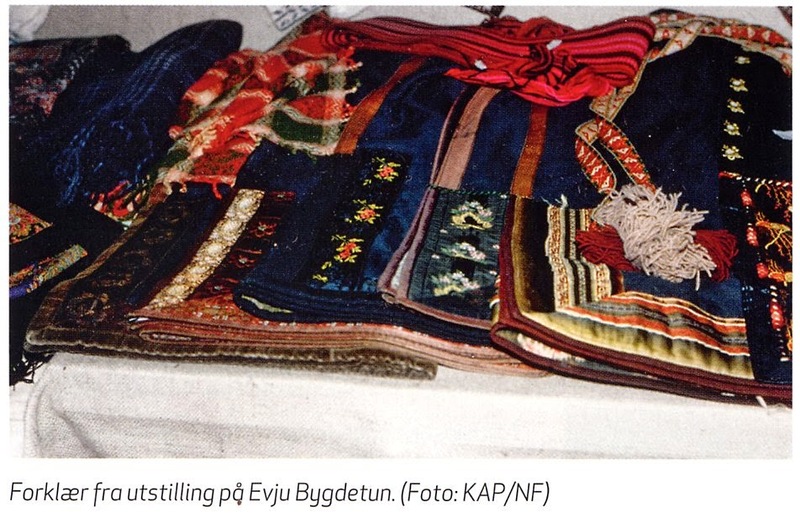 Occasionally, the overliv was embroidered, on the base fabric and sometimes on the ribbons. This did not happen as often as with the Raudtrøje. 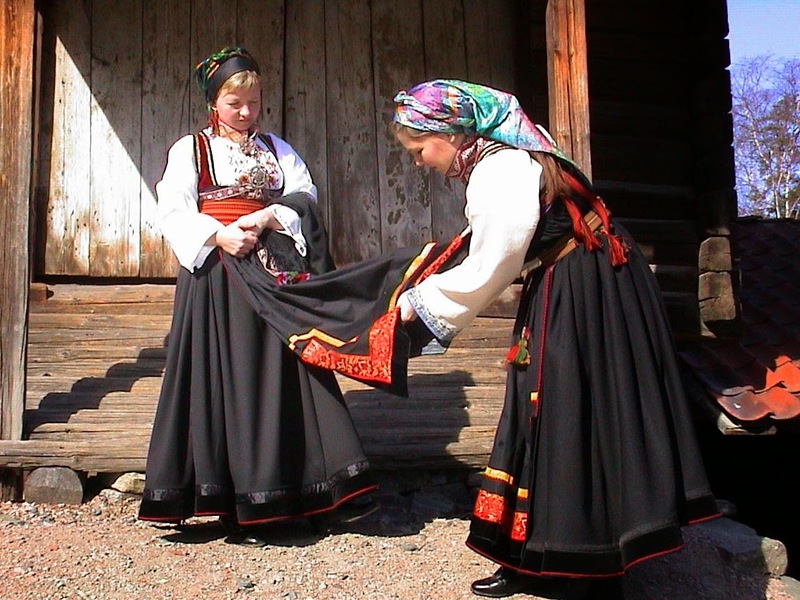 The skirt itself, stakk, was smock-gathered into the bodice, with an opening and a flat area in front. 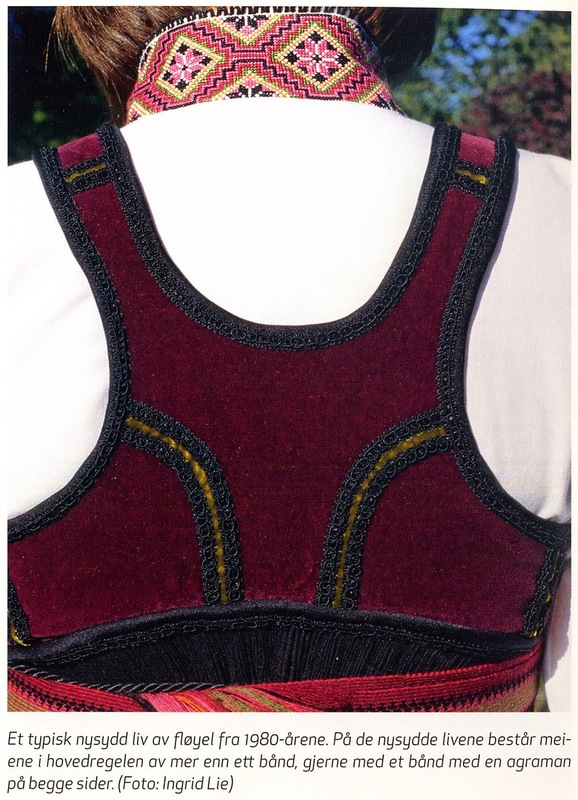 Sometimes silver lacing hooks were sewn to the bodice, which were never used. 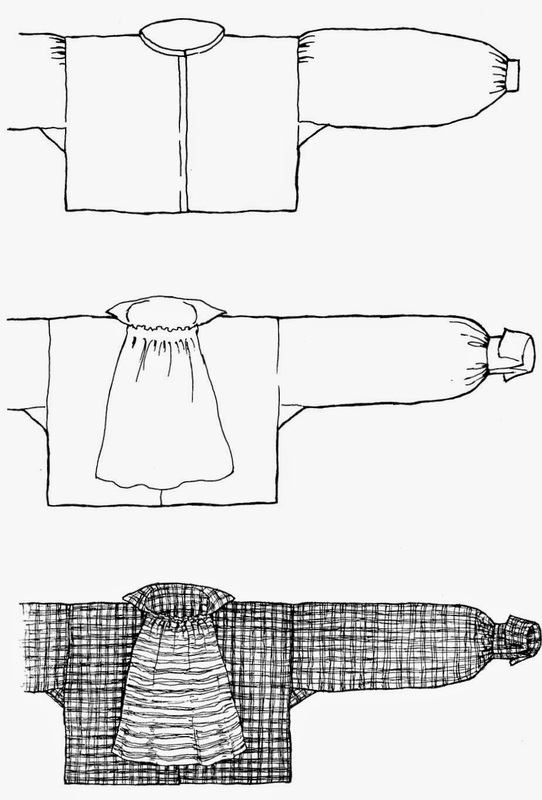 Often a facing was sewn over the top edge which was sewn to the overliv. This produced a ridge at the seam. The hem of the stakk varied from full to very full. There was invariably a thick multilayered facing, skoning, sewn to the hem. 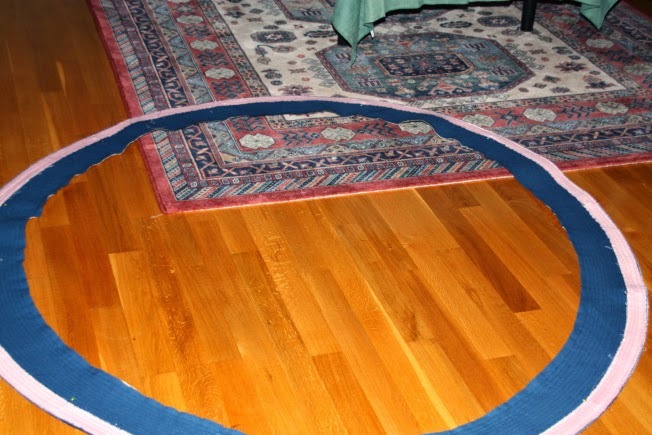 This was cut in a circular shape to stand out from the rest of the skirt in a bell shape. 4 m is likely the smallest The outside was sewn with a finer material, and was trimmed with at least one row of ribbon or contrasting cloth. The apron, forkle, was wide enough to cover the front of the stakk. It was gathered or pleated at the top to the width of the flat area. 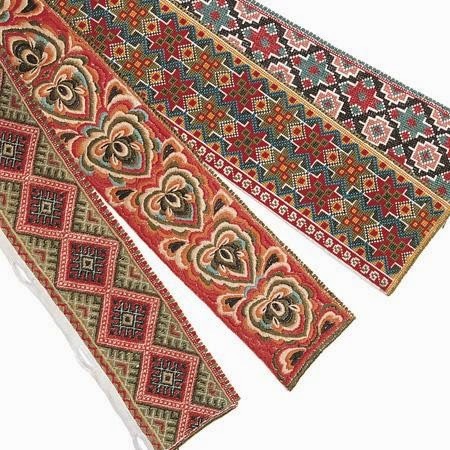 The edges were bound with ribbon, a narrow woven band was sewn to the top edge to form a tie, these often had tassels on the ends. These were wrapped all around the waist and were tied in front. 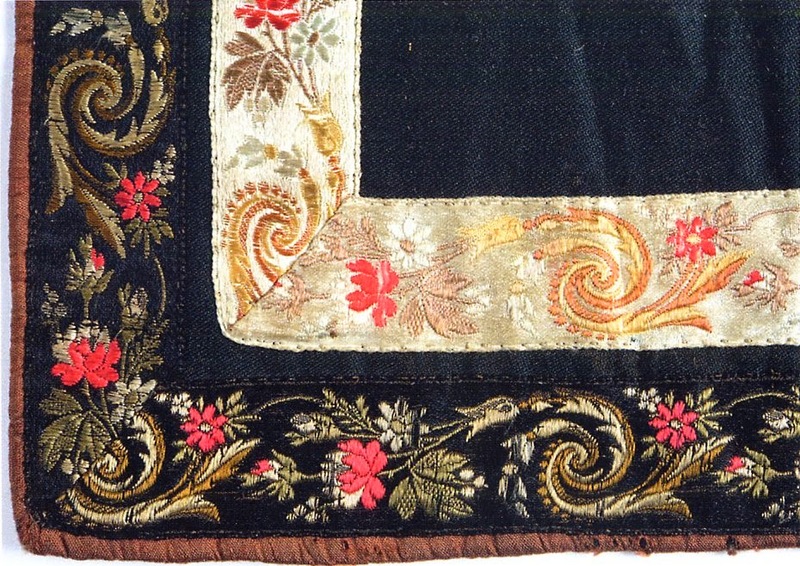 A wide ribbon or decorative cloth applique was applied to the bottom edge and continued up the sides for a short length. This band was faced on the back with another layer of material. 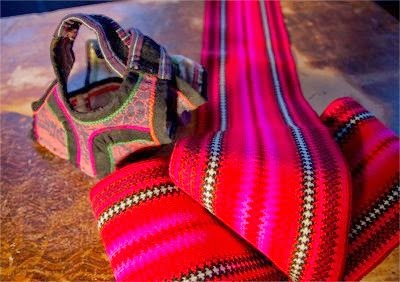 The apron-ties, forkleband is inkle-woven in the same kind of designs as are used all over northern Europe from Sabme through Scandinavia, the Baltics, to Estonia and even the Komi areas and Siberia. Typically they have a center design with two narrow edge designs. 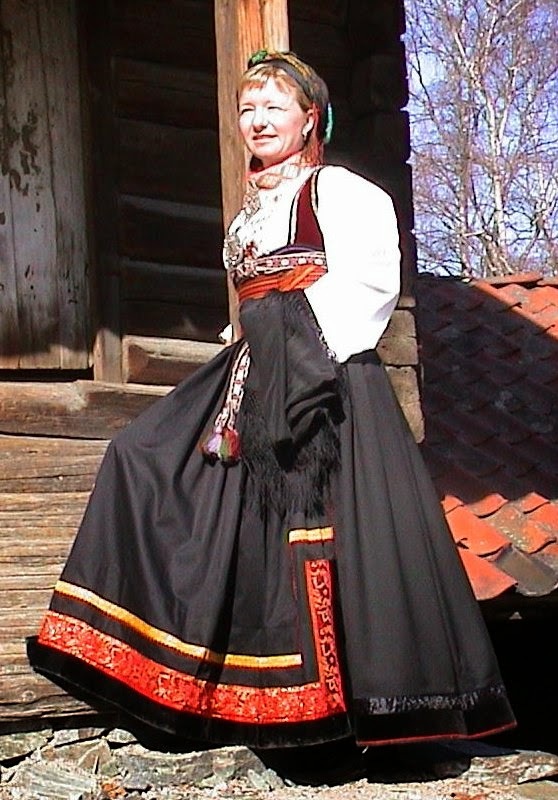 The main colors are traditionally red and white with some black on the edges. 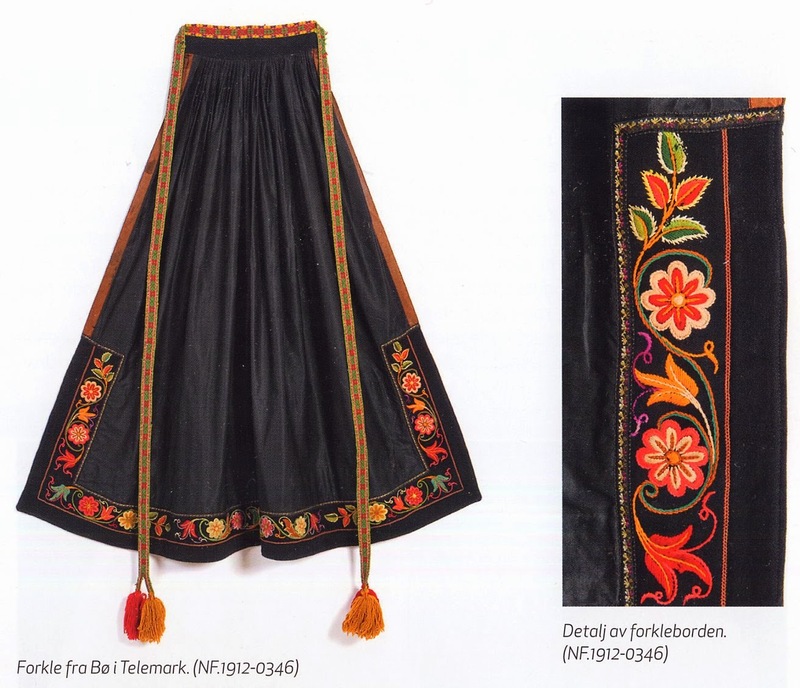 The decorative panel on the bottom hem, the forklebord, is usually made of decorative ribbon or appliqued material. These can be in almost any color. They were, however, sometimes embroidered. Here are just a couple of examples. 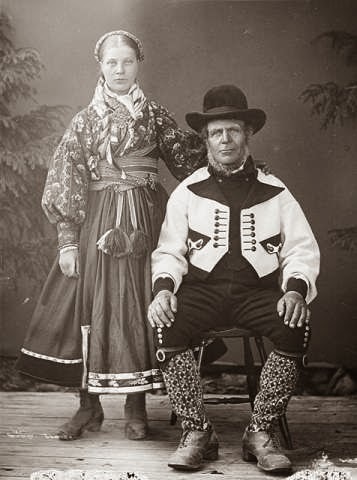 Here is an old photograph of a man in Rundtrøje with a woman in Beltestakk wearing a jacket and an embroidered forklebord. 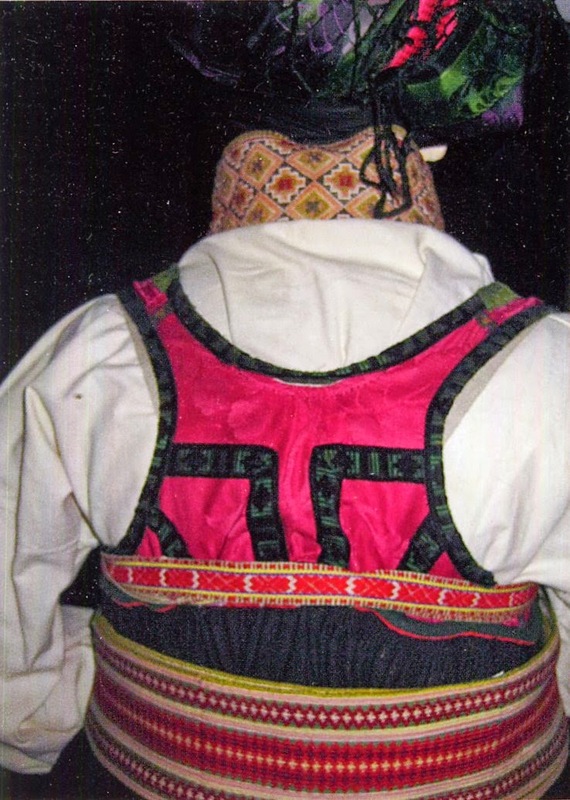 The stakk was belted with a very wide, rather thick sash, the Belte, for which this costume is named. It is card-woven, and quite long. 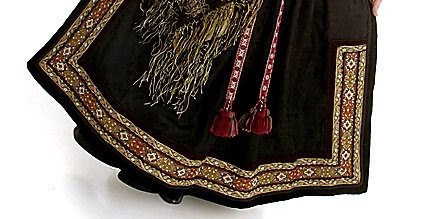 The ends generally are pinned in place, and the fringes are tucked behind the sash on both top and bottom. The colors are planned to harmonize with the ornament on the rest of the costume. 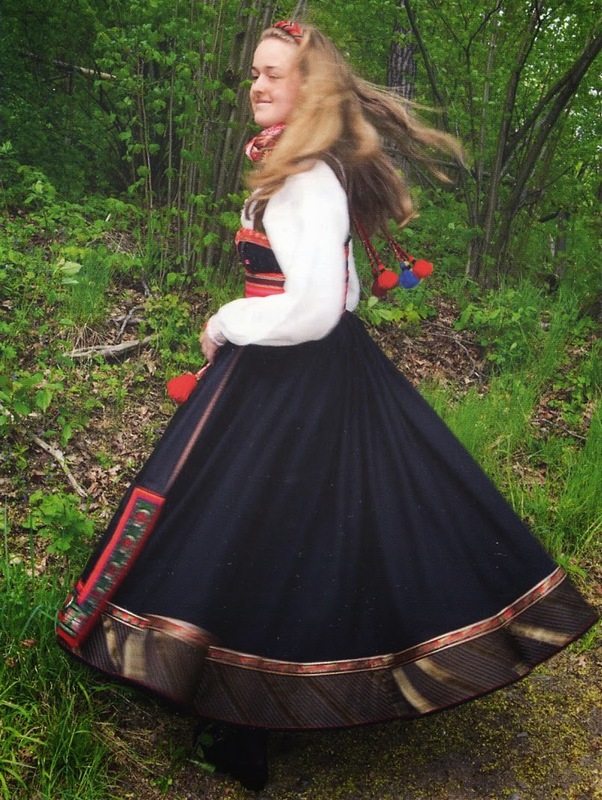 The traditional hairstyle is the same for all three versions of the costume. The hair is parted down the middle, and the loose hair is divided into two. 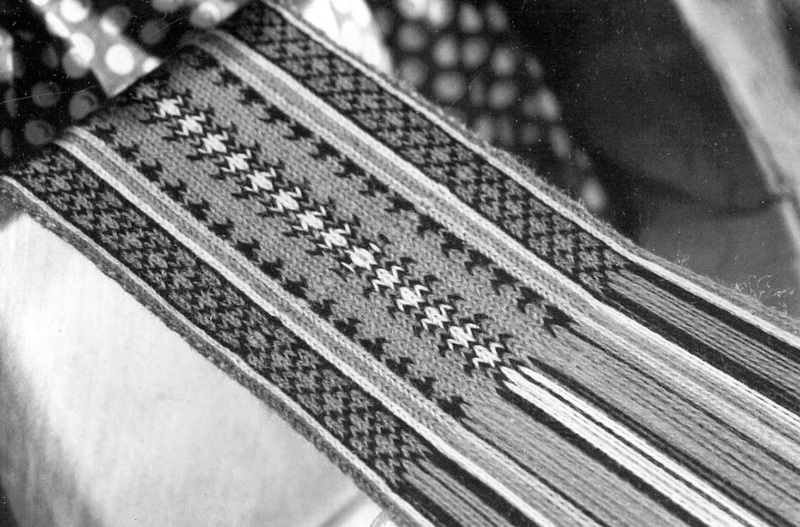 The middle of an inkle-woven band similar to that used as apron ties is wound from the center back of the head around the loose bundles of hair. 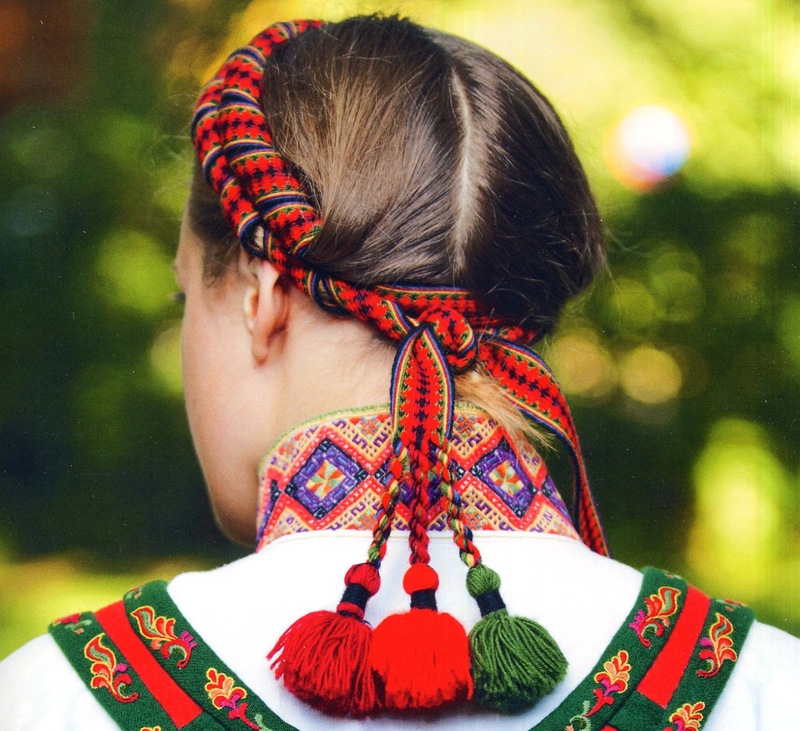 The two wrapped bundles of hair are wound around the top of the head to the other side, and when they meet again at the back, the two ends of the band are tied together, and the tasseled ends are allowed to fall in back. 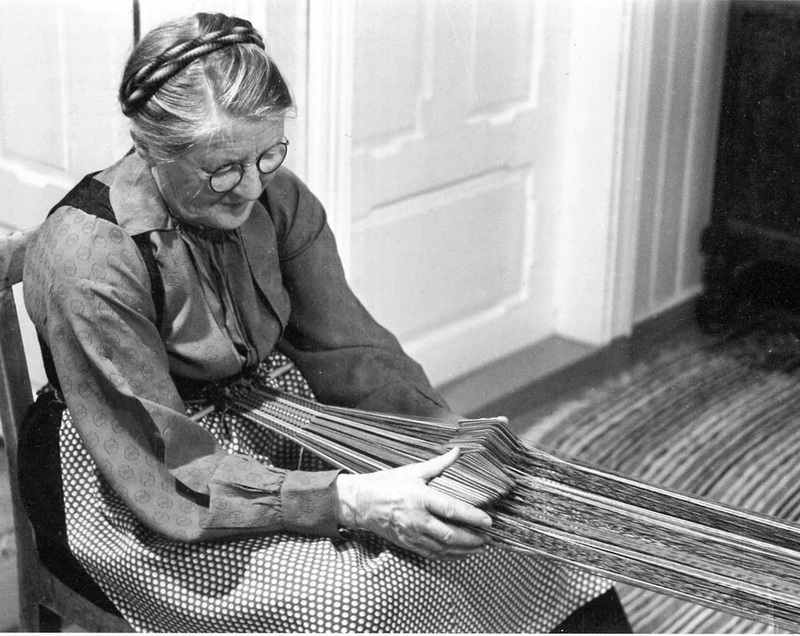 Here is a woman in Raundtrøje showing how this looks. She ended up with one long end and one short end. 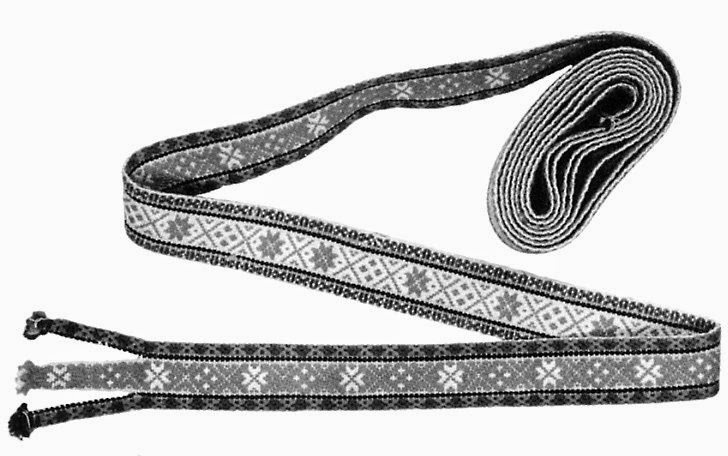 With the advent of short hair styles, this is now sometimes imitated by wrapping the band around a length of cord which is fastened in a double loop and may be simply placed on the head. 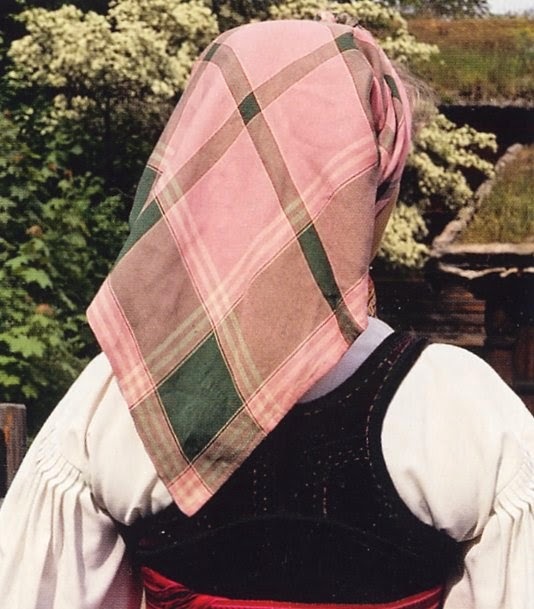 Silk kerchiefs became very popular towards the end of the 19th cent. 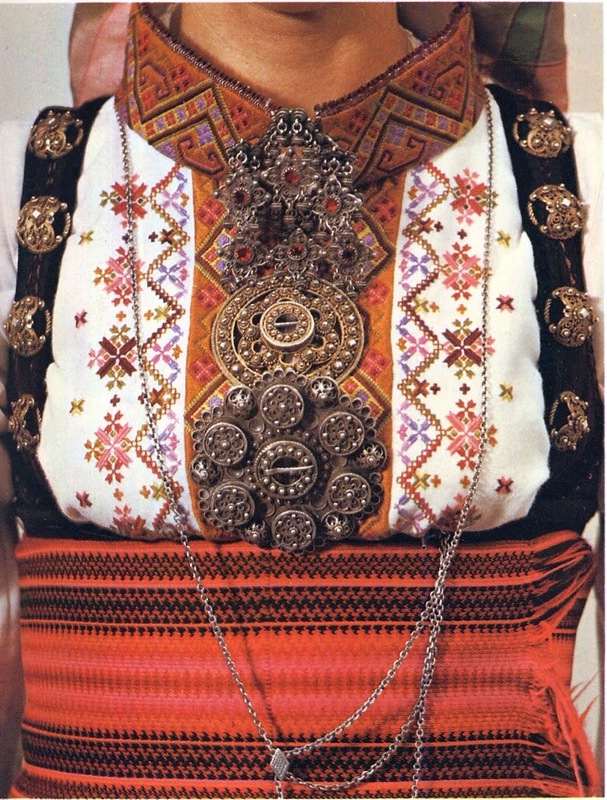 Some were worn around the neck inside or outside the collar. Others were worn on the head over this hairstyle. 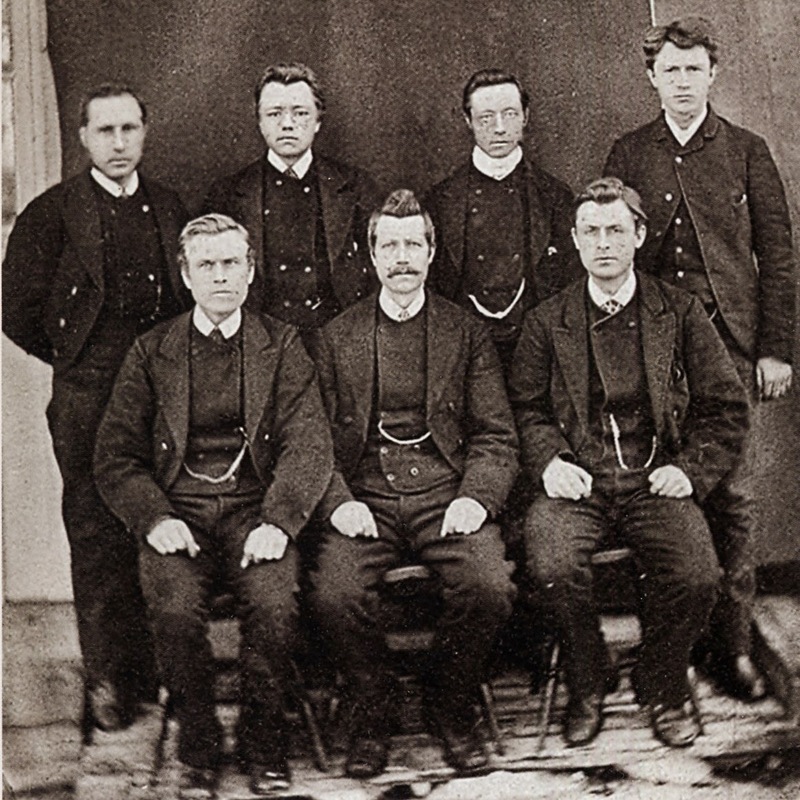 Typically the ends were wound around the back of the neck and then twisted and brought up again in front of the wrapped bundles of hair and tied on the top of the head. 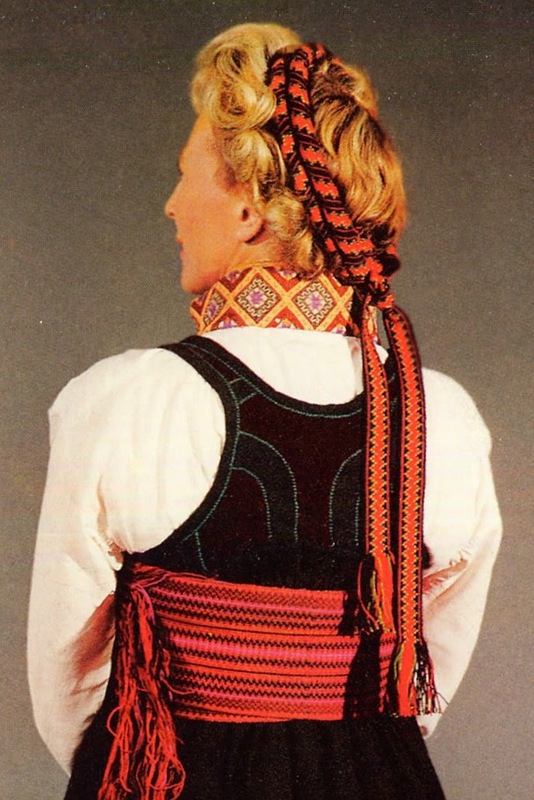 Sometimes, if not large enough, the ends were tied at the back of the neck and another, contrasting smaller kerchief was wrapped around from the back of the neck to the top of the head and then tied. 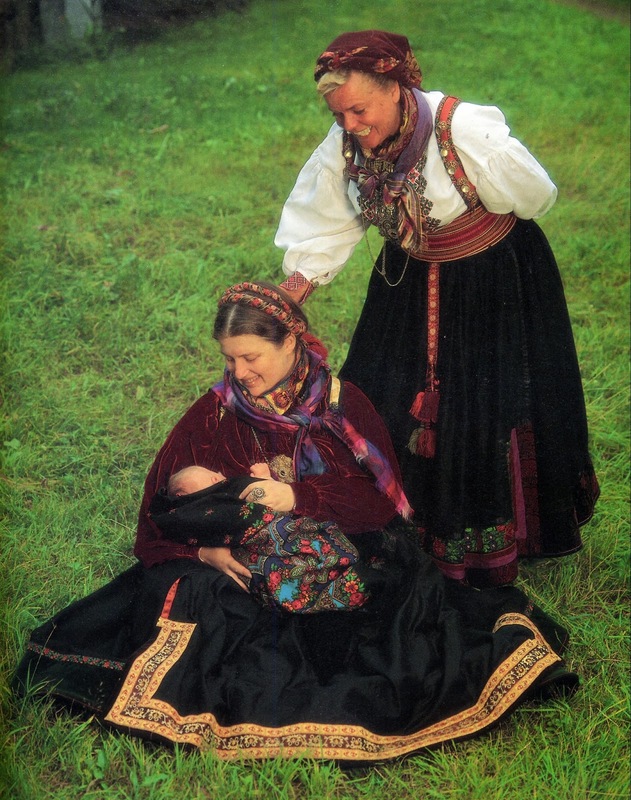 In this first image, the women have tucked the end of the kerchief in front to show the neck kerchiefs. It normally falls freely as in the second image. 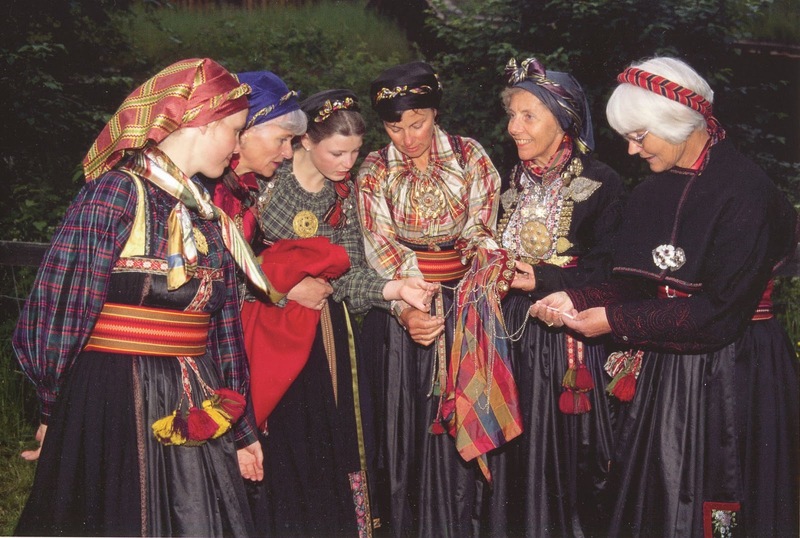 And of course, no Norwegian costume is complete without Sølje, the silver brooches and other jewelry which are part of the ensemble. 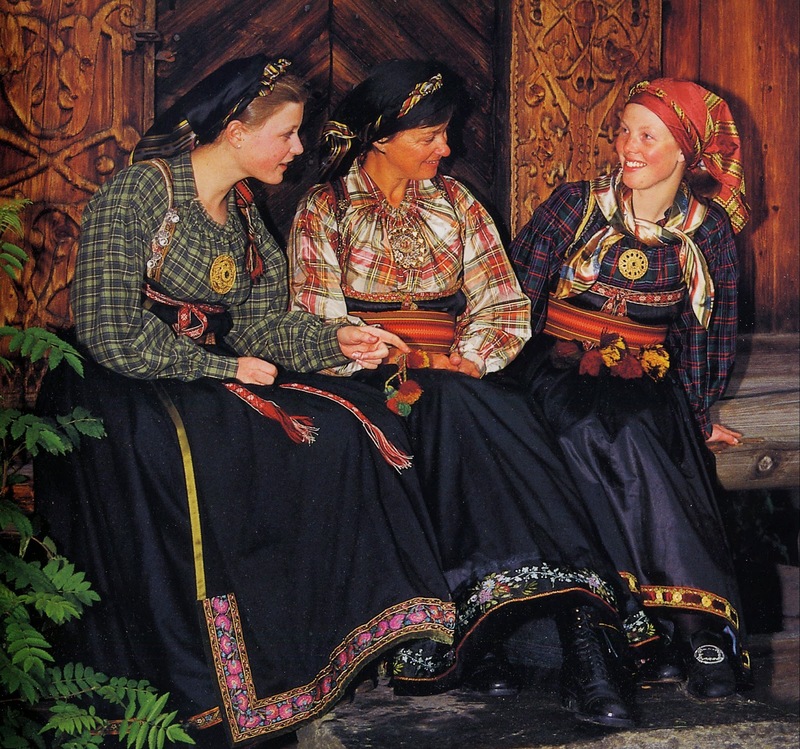 In Telemark, there occurs a particular style of filligree which is often gold plated. This image above is a good example, and review the other images in this article as well. 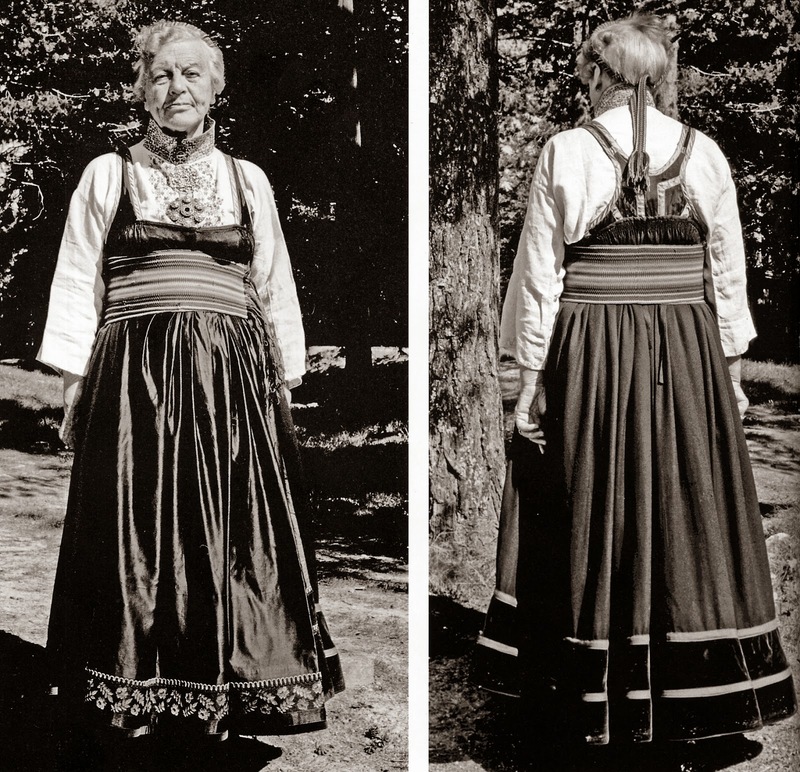 If you compare old photographs of the beltestakk with those of the revived costume, you will notice a couple of differences. 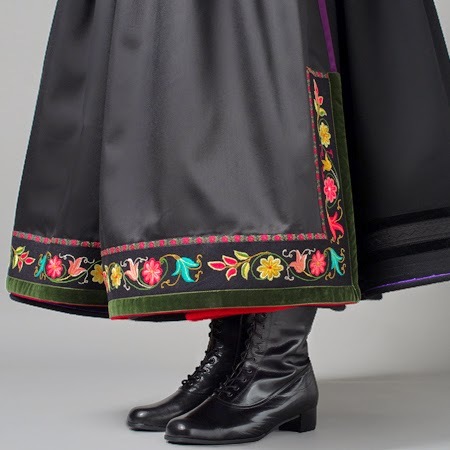 Firstly, the old ones had somewhat shorter hems, likely so as to show off the embroidery on the stockings, as well as simply being more practical. 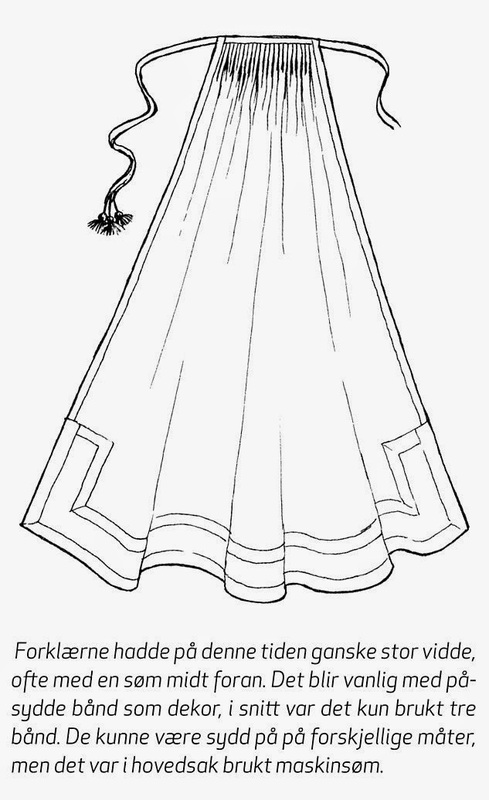 Secondly, the shoulder straps were often shorter, so the apron and skirt came up over the bust. 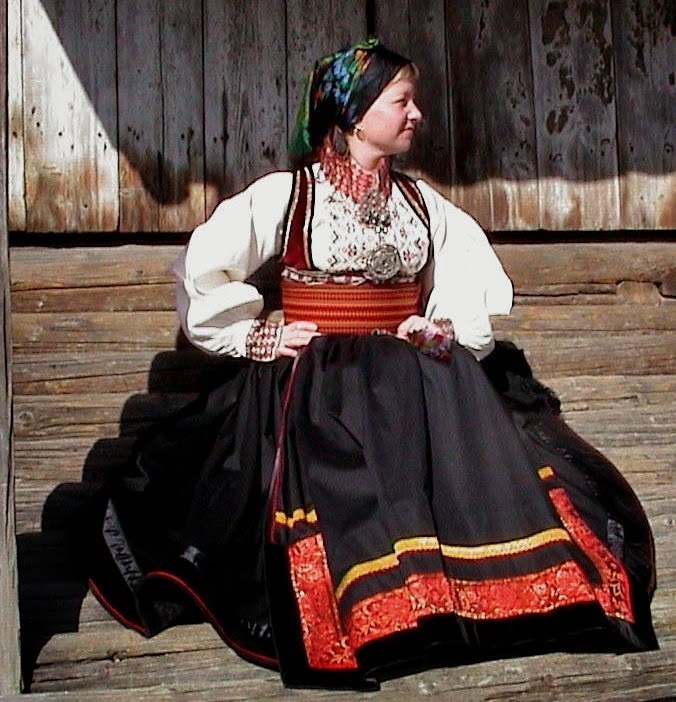 In the revived beltestakk, the skirt and apron are worn under the breasts. 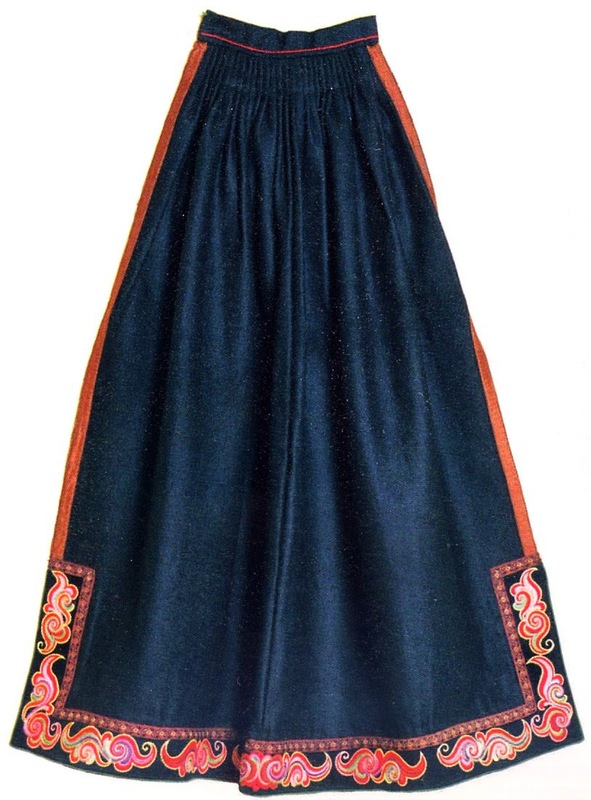 This also has the effect of the belt being worn very near the top edge of the skirt. 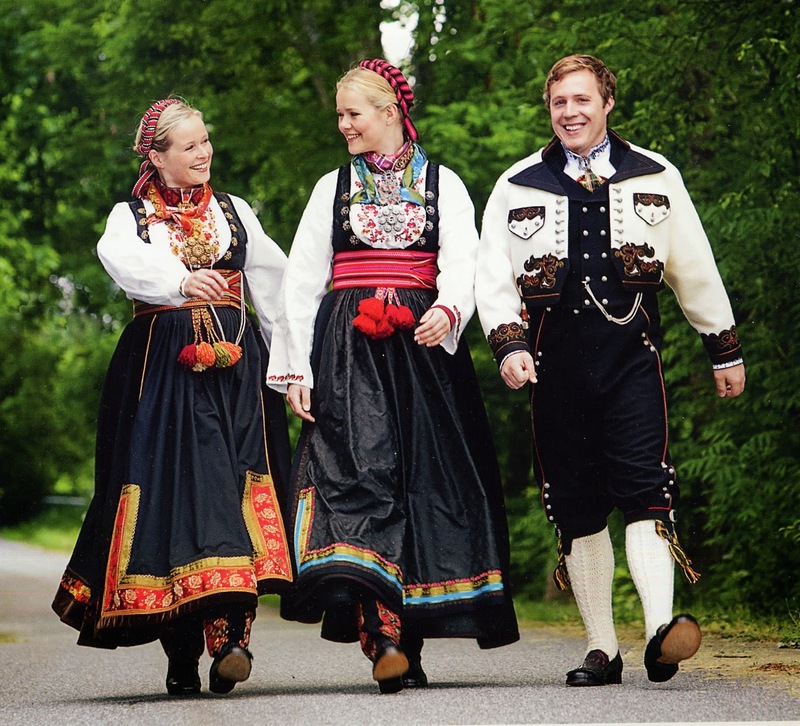 And thirdly, the old costume generally had embroidery only on the shirt collar, perhaps with tatting or whitework on the cuffs, the revived costume often had embroidery on the cuffs and the front as well, as in the Raudtrøje. Some people are reviving the old form of the costume, so that both are seen today. Here are some examples of each. See also the images above. 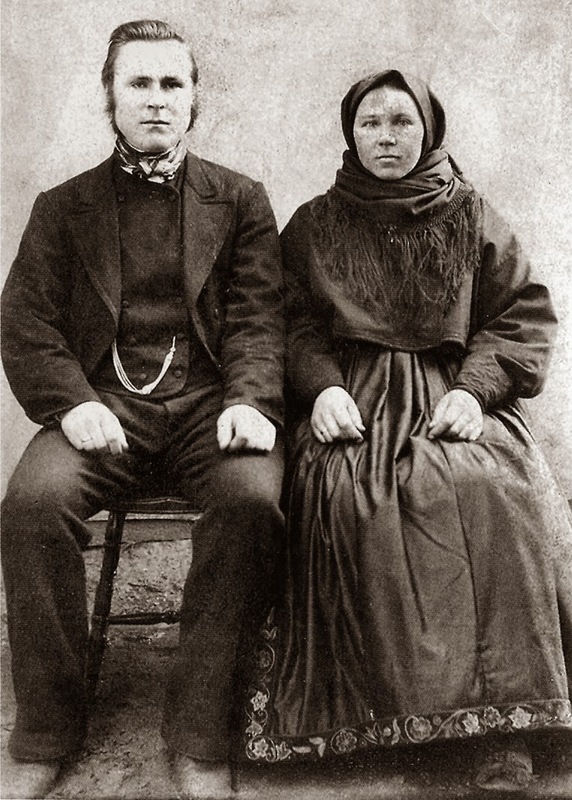 There are also some old photos which show costumes closer to the revived ones. Things are never so simple. Thank you for reading. I hope that you have found this to be informative and interesting. I will continue to write about this costume in a couple more articles. Glad to have found this blog, very interesting to read! Do you think they really come from Russia or they are made in Norway by a similar technology? What a wealth of wonderful information! 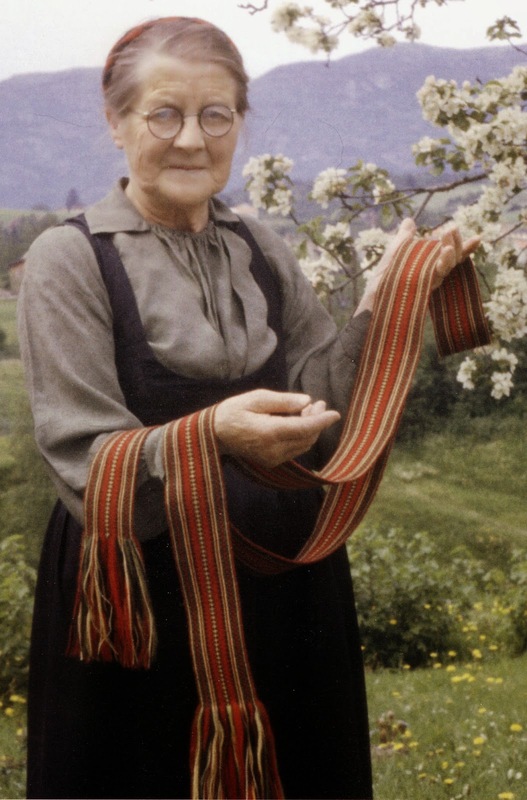 I'm a cross-stitcher who's found much inspiration in my Nordic roots, and this blog site is like a treasure trove. Thank you for all the time and research you've put into this. Very impressive! Nice to see pictures of my sister and nephew here!